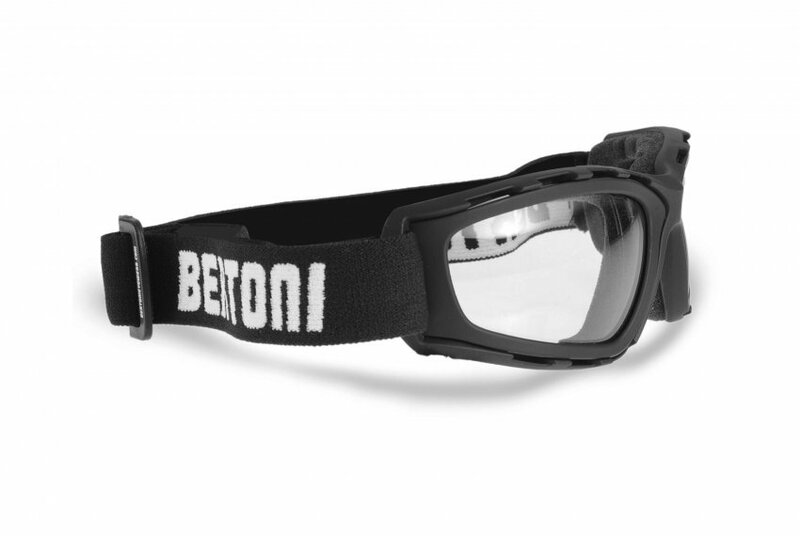 Frame: polycarbonate, mat rubber black finishing - from Italy - Price includes taxes. 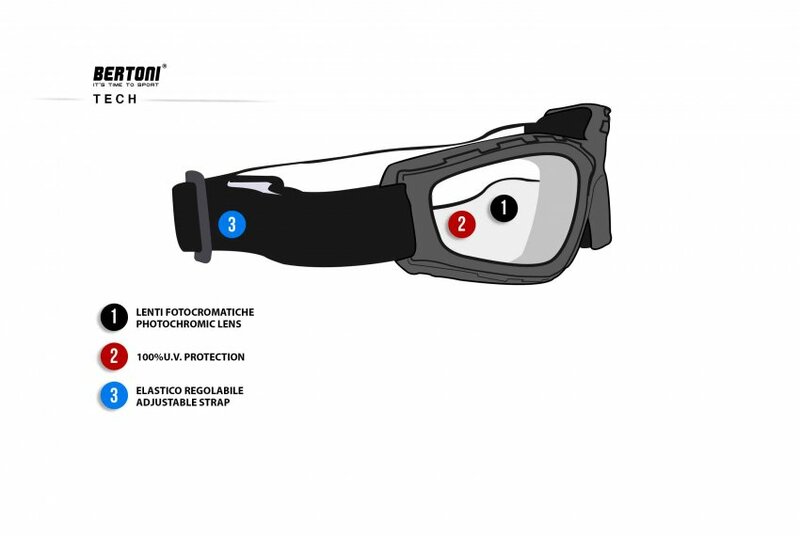 Adjustable strap and hoods in order to fit perfectly the helmet. Patented system to take off easily the lens and cleaning. 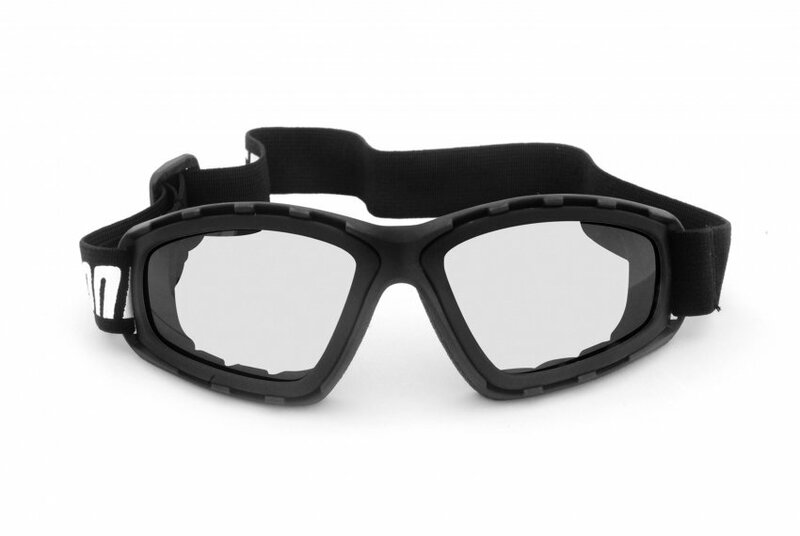 Goggles for with photochromic lenses. 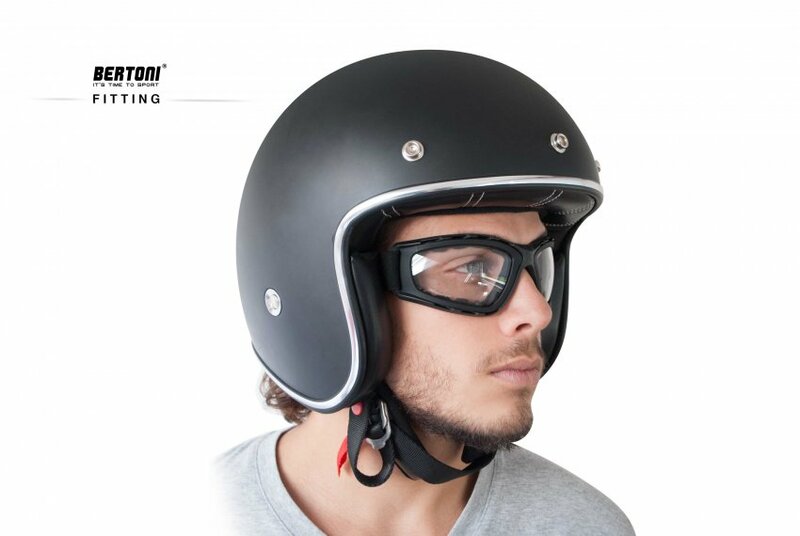 Bikers lovers will be captivated by the characteristics of the Photochromic lenses. 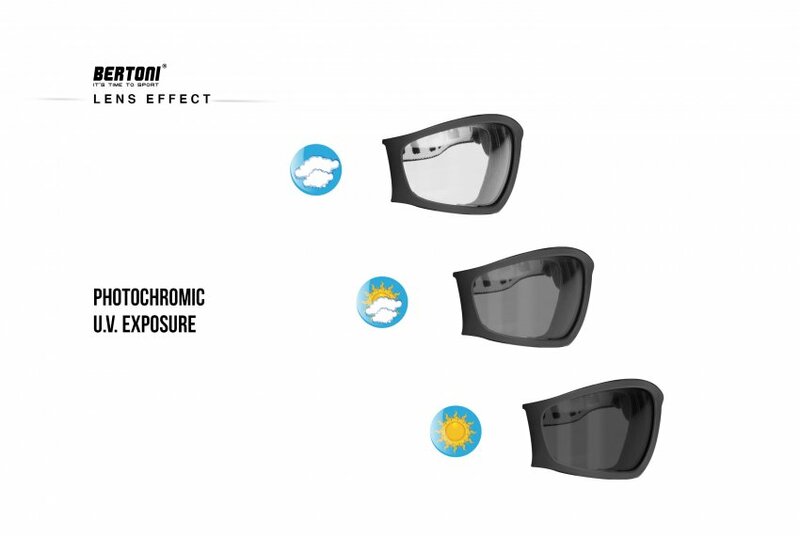 The sunsensor lenses with anti-fog treatment, darken and lighten automatically depending on the UV light exposure. 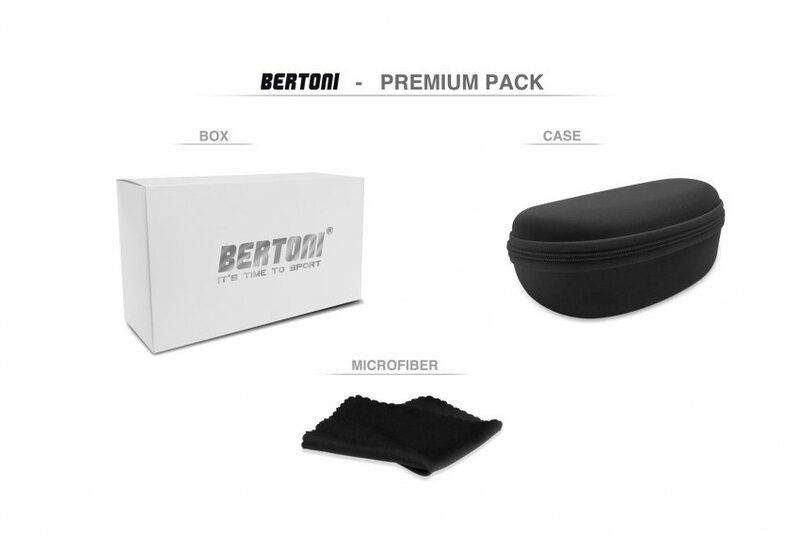 The lens are treated with a special resin which removes the condensation which forms on the surface of the lens when passing from hot to cold. Lenses can be removed very easily in order to be cleaned or to be changed. 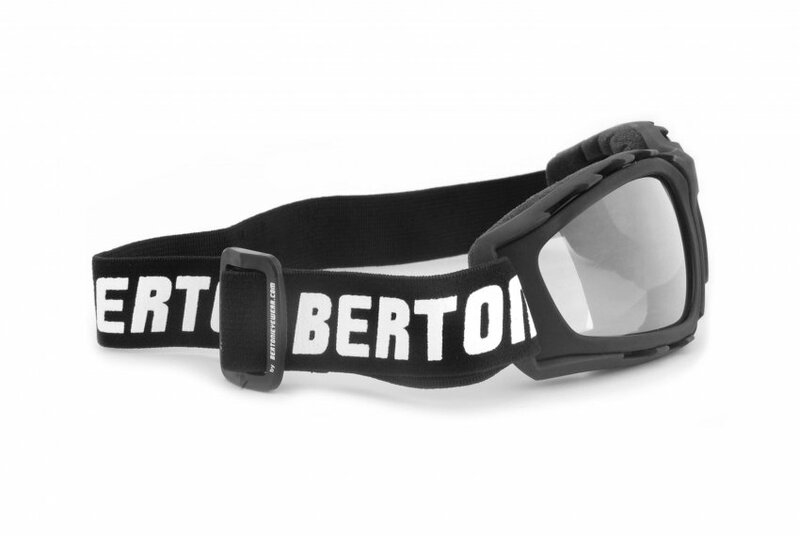 The elastic strap is adjustable.